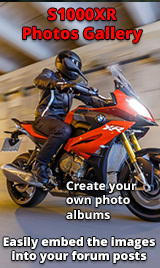 bmw s1000r exhaust to s1000xr..? 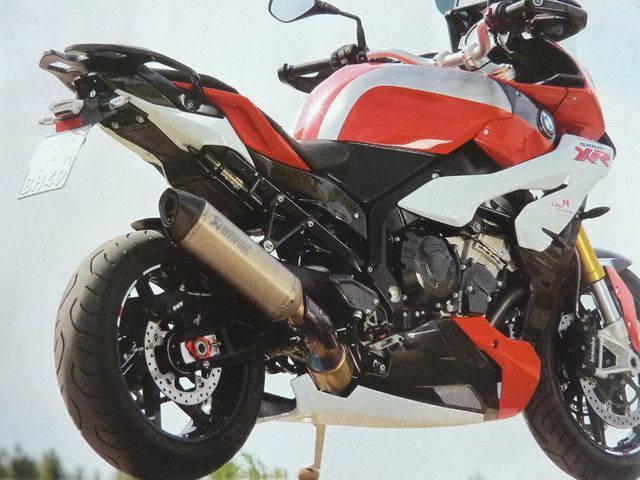 please tell me if anyone modified exhaust from s1000r akrapovic install to s1000xr...? 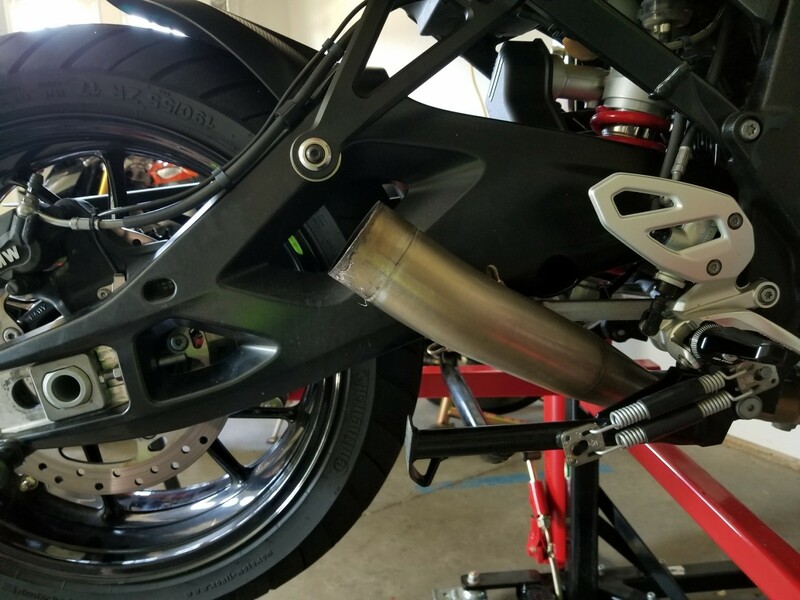 Re: bmw s1000r exhaust to s1000xr..? If you look through various posts the first one that appeared was on a Spanish bike there are some photos on here,there are also various photos of the German guy who helped design the X/R and built his own he has RR headers and somehow wired in the flapper valve as well. 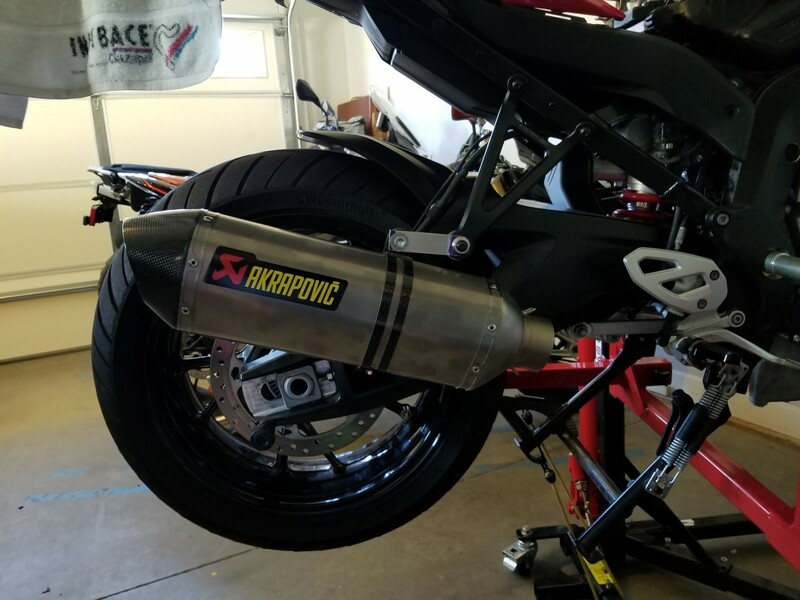 I took the full Akra off my R with the intentions of putting it on my XR. Unfortunately it was not a simple fit and would require the link pipe to be modified or manufactured. Funnily enough , the Akra from the R puts the end can further back, and if you have panniers on your XR you would not be able to use them without modding the headers.See the attached photos of where the R headers exit on the XR(right where the ehaust bracket is) and where the muffler needs to be for the bags to be mounted(I actually liked the exhaust in this position, but too much work to get it there).